Wallkill NY Real Estate | Colucci Shand Realty, Inc.
Wallkill is a hamlet of Shawangunk New York and home to roughly 2,500 residents. Just north of Walden on the Wallkill River, Wallkill has access to the Walden-Wallkill Rail Trail. Cross-country ski, mountain bike, horseback ride, or simple walk along this year-round, unpaved trail. If picnicking or playgrounds are more your style, Wallkill is also home to Popp Memorial Park and Garrison Park and many other outdoor spaces to relax. Learn more about life in Shawgunk NY. Homes in Wallkill offer beautiful Shawangunk Mountain views and large lots. They vary from historic homes to new construction, and all are part of the Wallkill School District. Many of the homes for sale are between $350,000 and $500,000, and there are also luxury homes for those that are looking for acreage as well as modern fixtures and amenities. Below, browse all real estate for sale in the hamlet of Wallkill. Don't hesitate to contact us to get started today! 180 Acre Horse Farm. This working farm is located in the desirable Town of Gardiner and offers Magnificent Mountain Views, thirty stall horse barn, hay barns, multiple paddocks, quarter mile professional horse track, straight tracks, hayfields, cornfields, ponds and Spectacular Sunsets. Listed by John Quinn, Quinn Realty Group Inc.
A beautifully bucolic plateau of 20+ acres that has sweeping views of the Shawangunks with a deep swimming pond complete w/ a waters-edge sauna and guest cottage. A Classic Farmhouse holds court in it all, w/ a definite modern twist. Open plan first floor w/ a very spacious living room/dining area with a wood stove. A large side study w/ original stone fireplace. A comfortable eat-in kitchen w/ a large commercial range and French doors leading out to a spacious deck. The screened in sleeping porch is perfect for listening to summer crickets and spring peepers. Upstairs is in keeping w/ the original house: four bedrooms each w/ their own character. The property is a year -round paradise: swimming in the summer and ice skating/sauna indulging in the winter. Cross-county ski wooded trails and fields in the winter. The property is on the very edge of Gardiner..in Wallkill township on a quiet rural road. WALLKILL-BUILDERS-MUCH NEEDED HOUSING OPPORTUNITY-FULLY APPROVED 24 LOT SUBDIVISION READY TO GO-Town of Shawangunk, Wallkill Schools. A mile from town and a builders dream. Approvd for 24 single family residential lots in two phases with municipal sewer. This fabulous parcel is a unique blend of open space, woods, stream, frontage on the rail trail and mountain views. A nature lovers paradise. The land rises gently up with a spectacular view of the Shawangunk Mountains. Beautiful open fields created by a conservation easement for enjoying the outdoors with a meandering stream and frontage on the rail trail. Perfectly suited for a builder looking to offer new construction with a country atmosphere but not be too remote and additionally offering lots with Shawangunk Mountain views, public sewer & recreation ability. Easy access to all major roads, train to New York City & Stewart International Airport, Mohonk and Minnewaska State Park, New Paltz, Gardiner, area farm stands, wineries and restaurants with local fare. Fantastic 5000 square foot custom built, 4 bedroom, 3.5 bath home on 2 acres. Vaulted cathedral ceiling throughout gives this grand home a truly open feel. The long galley kitchen with granite counter tops continues this theme as it expand across the first floor, with breakfast bar and nook. Off the kitchen is a large family room with gas fire place. The master bedrooms is also on the first floor with additional sitting room, large closets, fireplace, and master bath. Downstairs has a finished basement with playroom, theater room with projector, and surround sound. There is also a finished room that could serve as office or additional bedroom as well. If that wasn't enough space there is a finished bonus loft over the 3 car garage. Outside there is a heated in ground 20X40 pear shape pool surrounded with stamped concrete pavers. A Cabana adjacent to the pool makes this the perfect entertaining space. Home is in need of some Tlc to bring it back to its glory. LAST LOT LEFT IN THE SUBDIVISION...TOWN OF SHAWANGUNK is abundant in history and natural beauty many world travelers call this area one of most beautiful parts of country with its scenic mountains and farmland. Just 75 minutes drive to Manhattan. 2600' sq ft. Colonial with attached 2 car garage with high ceilings and doors. TO BE BUILT offers many great amenities and built by established builder. 9 ft. high ceilings on 1st floor and basement, 4 bedrooms 2.5 bathrooms. Master bedroom w/ walk-in closet and master bathroom with oversize tile shower. Spacious open floor plan family room with fireplace, eat-in kitchen w/granite counter tops, ceramic tiles, hardwood floors, central air. Formal dining room, formal living room, glass slider open to deck overlooking private spacious level yard 19.4 acre lot. Concrete walkways. Underground utilities. Private setting w/ mature trees no thru traffic subdivision, total of 20 homes near Hamlet of Wallkill w/short drive to services and amenities. WALLKILL-Country road take me home to this fabulous new farmhouse colonial beautifully designed. Superb construction by award winning local builder. 2 acres privately sited w/abundant nature. This 2522 sqft home offers an open floor plan w/family room-kitchen breakfast room combination. Numerous windows offer natural light. Kitchen w/solid wood cabinets, soft closing drawers, granite countertops & island. Energy Star SS package w/stove, dishwasher & refrigerator. Large breakfast area. Spacious family room w/fireplace. 4 bedrooms. Master w/walk in closet, tiled shower & twin vanities. Main bath has tiled tub & cabinet w/granite. This home is compliant w/new NYS updated energy guidelines. HW floors throughout first level & upstairs hall. 2nd floor laundry. Central air. Wire shelving in closets, recessed lights, seeded lawn, open front porch, deck. 2 car gar. The area offers residents a little bit of everything. 15 minutes to Metro North, NYS Thruway, I-84 & Stewart. Ostrander Elementary. This custom built contemporary colonial on over 3 acres sits back off the road for extra privacy and boasts an inground pool and seasonal stream. The 4 bedroom 2.5 bath home underwent major renovations in 2010 including new roof, new siding, new kitchen with granite countertops, updated bathrooms and an on-demand hot water heater. Other features include high ceilings, skylights, walk-in closet, ensuite master bath and more. Convenient location for commuters. Relax at home or enjoy everything this incredible region has to offer - hiking, rock climbing, skydiving, biking, horseback riding, restaurants, local wineries & distilleries. WALLKILL-Country road take me home to this fabulous new farmhouse colonial beautifully designed. Superb construction by award winning local builder. 2 acres privately sited w/abundant nature. This 2100 sqft home offers an open floor plan w/family room-kitchen breakfast room combination. Numerous windows offer natural light. Kitchen w/solid wood cabinets, soft closing drawers, granite countertops & island. Energy Star SS package w/stove, dishwasher & refrigerator. Large breakfast area. Spacious family room w/fireplace. 4 bedrooms. Master w/walk in closet, tiled shower & twin vanities. Main bath has tiled tub & cabinet w/granite. 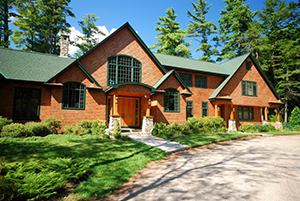 This home is compliant w/new NYS updated energy guidelines. HW floors throughout first level & upstairs hall. 2nd floor laundry. Central air. Wire shelving in closets, recessed lights, seeded lawn, open front porch, deck. 2 car gar. The area offers residents a little bit of everything. Easy access to Metro North, NYS Thruway, I-84 & Stewart International Airport. Ostrander Elementary. WALLKILL-GORGEOUS MOUNTAIN VIEWS-Beautiful Colonial in a well-established neighborhood in the Wallkill Central School District. Main level features bright eat-in kitchen area with granite counter tops, tiled floors, dining room with hardwood floors, living room w/ gas fireplace, h/w floors, surround sound and half bath. Fabulous four-season sunroom with heat and surround sound, perfect for entertaining. Second floor has Master bedroom with en suite, spa tub, tiled floors, granite counters, shower, two more nice-sized bedrooms and a large hallway bath, fully finished bonus room. Great extra room finished in the basement, tons of storage and direct access to the two car garage. Alarm system, central air, shed, generator hook-up, retractable awning on over-sized maintenance-free deck overlooking unbelievable Shawangunk Mt. views are just some of the amenities in this wonderful move-in ready home. Close to New Paltz, Gardiner and just 15 minutes to commuter access to NYC via Metro North. WALLKILL -1870 FARMHOUSE PLUS INCOME UNIT & DETACHED 3 CAR GARAGE. Charming three bedroom, two story farmhouse with metal roof, extra large rooms, hardwood floors, full basement and 960 square foot mobile home 2 wells and 2 septic systems. Spacious eat in kitchen and formal dining room. Family room. Conditional approval for separate 2 acre building lot with well and septic. Beautiful location. Wallkill schools. Ostrander elementary. Minutes to Minnewaska and Mohonk State Park, Grasslands Wildlife Refuge, Gardiner Skydive Ranch, Sams Point, Angry Orchard and many other area attractions and resources. Near New Paltz, area wineries and restaurants with local fare. Easy access from New York State Thruway and Stewart International Airport.